The Keith Haring mural on the Circus Oz site in Collingwood, Australia is undergoing a restoration. Haring painted the mural during a 1984 visit as a gift to what was then the Collingwood Technical School. It is one of only 31 murals worldwide. 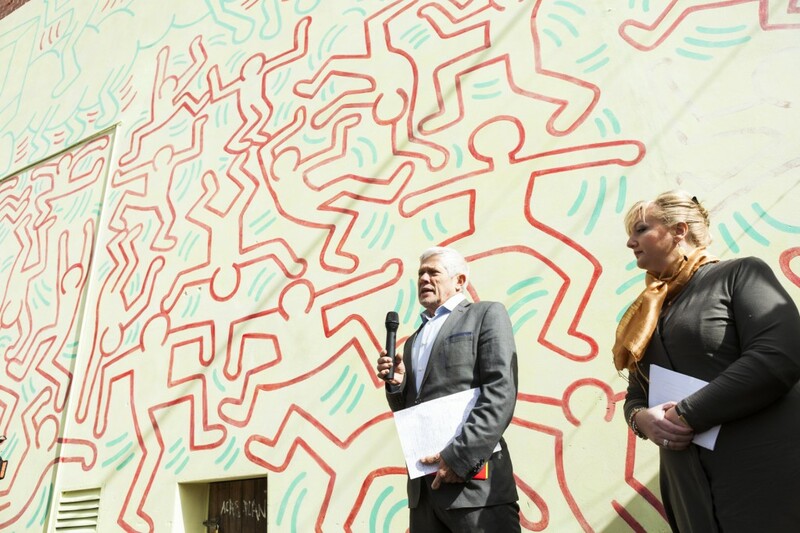 Antonio Rava, who worked on restoring the Haring mural in Pisa, Italy was chosen to oversee the work. The mural will be cleaned, selectively retouched and treated to prevent future deterioration. The work should be completed by the end of 2013 and will include the recovery of the artist’s signature which has been missing for nearly 30 years.